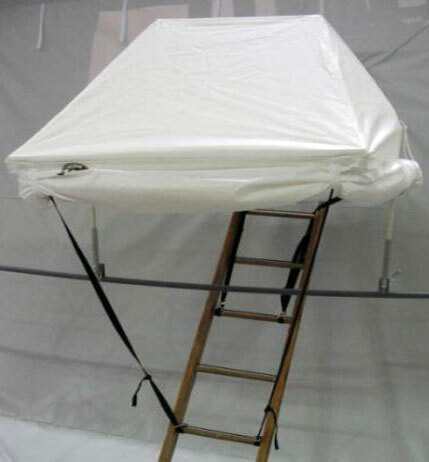 For work on a ladder or in a bucket, Aerial Tents provide shelter when you’re up in the air. 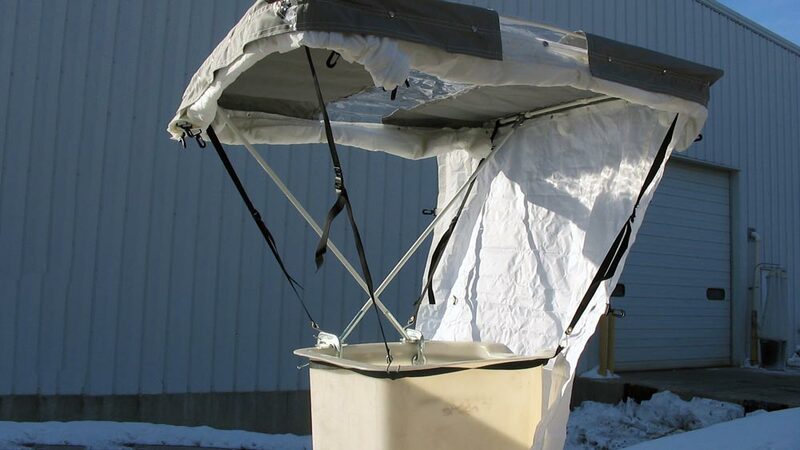 Versatile options from the 4800D Bucket Tent that is flexible enough to fit different bucket sizes and opens to your work area on three sides, to the basic 1200 Cover that is simple and easy to use. Protective coated polyester cover with fiberglass non-conductive frame. FAST – Just pop open the radial side frames and clamp the shelter to the strand, gate guard or lift bucket. 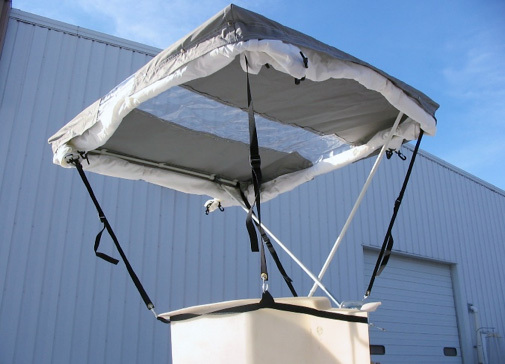 Special clamps are available for installing the aerial tent on lift buckets. SIMPLE – No loose parts. DURABLE – Constructed to withstand harsh weather conditions. LIGHTWEIGHT – Only 12 pounds. 48″ x 54″ x 96″ – Very roomy work space. Coated polyester cover with a fiberglass frame. ADJUSTABLE HEIGHT – Optional adjustable steel legs give you 12″ of adjustability and make it possible to fit the tent into tight spots. The standard legs are of non-conductive fiberglass rod. 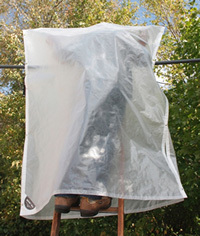 A simple, easy to use translucent cover for weather protection. Just slip the cover over yourself and the strand and snap a few enclosures. Folds to 6” x 15” cylinder- tote bag included.